LINEN FLOWER DIFFUSER - Refined and elegant, this Scented Bouquet will keep your home constantly perfumed with balanced and delicate notes. Classically arranged in a glass bottle, the natural rattan sticks absorb the perfume and then release it gradually over several weeks. 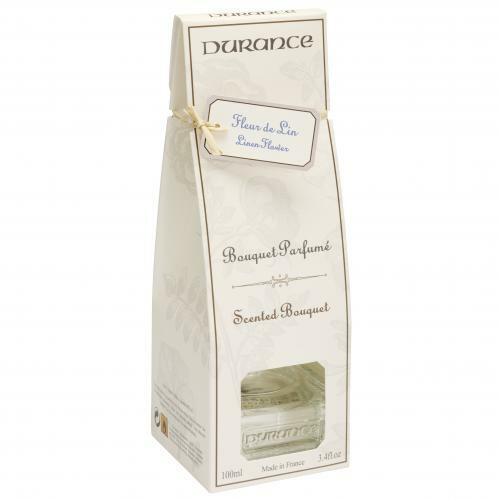 Perfume your home with the delicately powdered scent of the linen flower and create a soft and calming atmosphere.